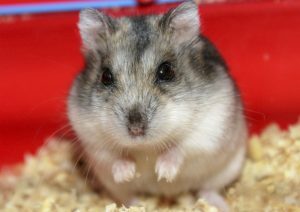 Many potential pet owners avoid getting a hamster because they think that it will attract mice and other rodents into their home. This is a valid concern that is worth exploring. As a fellow pet owner, I had the same question, so I researched to find the answer, and the result was quite relieving. No, hamsters do not attract mice or any other rodents. Every rodent species has its own distinct smell and the different scents so you don’t have to worry about mice or rats trying to mate with your hamster. Hamsters do not deter mice either. Mice and other rodents may enter your home looking for food – and once there, they may try to enter a pet’s habitat to steal some food. 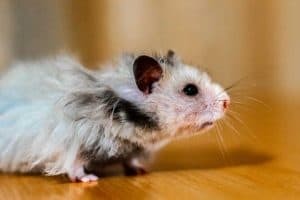 Keep reading to learn more about the interaction between hamsters and mice – and how and why to prevent your hamster from coming across a mouse. Although hamsters and mice are both types of rodents, that is where the similarities end. In most cases, rodents of different species do not get along. If they are brought together in a cage in captivity, the results could be deadly. Rodents of all forms are very territorial, with the exception of some social species who can live with their own “tribe mates”. Otherwise, rodents that get too close, then they could attack one another. Even if it was your intention to try and have a hamster and a mouse coexist, it would ultimately be a failed experiment. Among their many differences, mice are social while hamsters are more solitary animals. Mice are used to living in colonies where they surround themselves with many of their own kind. Because hamsters enjoy their solitude, they can often become aggressive and what could start as hissing and baring teeth would ultimately result in biting and possibly even death. We’re not aware of anyone trying to have a mouse and a dwarf hamster co-habit a cage. For such an attempt to work – even theoretically – the animals should be raised together from a very young age or the hamster will become aggressive. But do hamsters actually deter mice? There’s no evidence to suggest that hamsters act as a deterrent to mice. 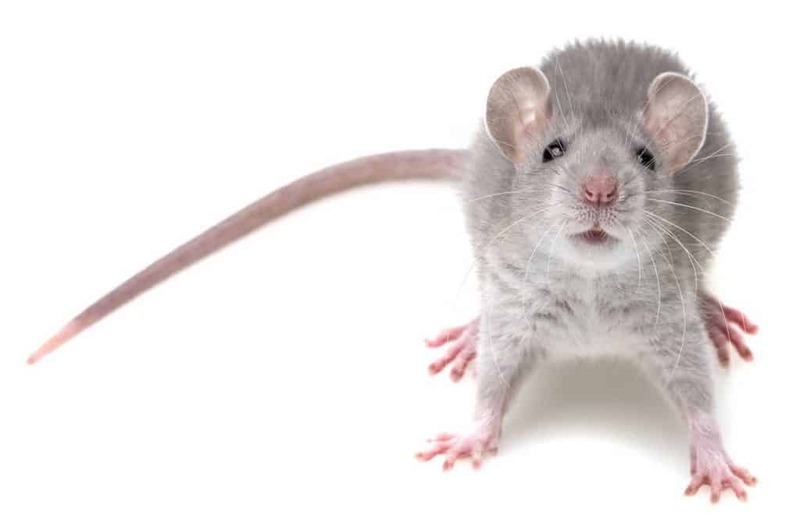 What we do know of rodents suggests that a mouse may prefer to avoid another rodent’s “lair”. If there’s food available in the cupboard, why risk an encounter with a hamster? Just how far a mouse will try to keep away from a hamster’s cage is anyone’s guess. In fact, there have been cases where mice were bold – and hungry – enough to get into a hammy’s habitat. Which brings us to the next question. Can a mouse get into a hamster’s cage? Mice are small, agile and clever. A hungry mouse that’s locked in your home, could overcome its aversion to hamsters find its way into a wire cage where a Syrian hamster lives. The bars of the cage may be close enough to prevent the larger hamster from leaving while allowing the mouse in. Such a mouse would be drawn to the hamster’s food stash, not to the hamster itself. Should the hamster notice the intruder, he’s likely to become aggressive and chase the mouse out of the cage. This is not a theoretical scenario. This member of a hamster forum had a wild mouse enter her hamster’s cage. Make sure your home is free of mice (please stick to humane traps). Keep your hamster indoors – not out on the porch where wild mice can find the cage. If you make the area 100% free of mice, protect the cage by wrapping it with fine metal mesh. If you suspect your hamster had a close encounter with a mouse, take it to the vet to be checked by a professional for injuries. There are others out there that fear that hamsters might attract snakes. The idea is that many snakes feed on small rodents such as mice, and may be attracted to the scent of a hamster as potential prey. While snakes prey on hamsters in the wild, they won’t be able to track the scent of a hamster into a home. The chances of a snake “sniffing out” a hamster from your backyard and making its way in are slim. In general, snakes in the wild make it their business to avoid human interaction. Even if they caught the scent of a hamster in your home, they would not try to make their way inside. There are plenty of wild animals outdoors that they can munch on. One of the primary reasons that this misconception began is because some people who had pest problems also happened to have a hamster. In truth, if you do see pests in your home after owning a hamster, it is not because of the hamster itself. Pests show up in your home for a variety of reasons. Some come inside because you are offering warm shelter during colder months. Others come because your home may not be well-maintained and cracks and spaces in your walls make it too easy for them to enter. The biggest reason is that you have food and it is not well secured. Because of their size, most pests are attracted to small pieces of food – crumbs, corn kernels, bits of cereal, etc. Hamster food is quite small and will be attractive to some other rodents and pests. To avoid drawing them in, avoid leaving food sitting out when the hamster is not eating. If you do leave it, out, have it in an enclosed container that only the hamster can access. Plastic containers are best as undesired rodents can chew through plastic bags. 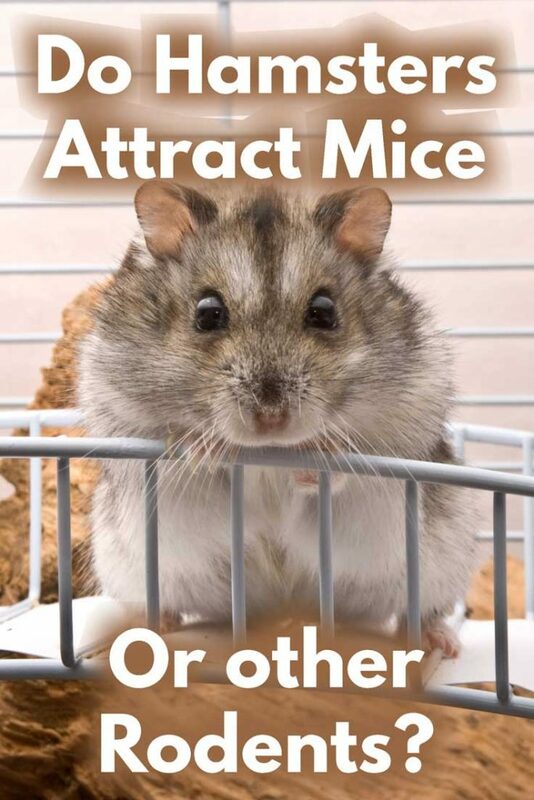 Even if you keep the food secure, if you do not clean your hamster’s habitat often enough or as thoroughly as you need to, you could still attract other rodents. Once again, it all comes back to the food. If you do not clean your hamster cage often enough, then food can fall out and onto the floor. Once that food finds its way around your house, the mice and other rodents may come for it. Read here more about how often to clean a hamster’s cage and follow this routine. During your weekly “Cage sweep-over” pay attention to the area around the cage as well and clean it up properly. If your hamster cage is on a counter, check behind it just in case any food has fallen there. Regular cleanings will do wonders to ensure that mice and other rodents stay away. It is fair to point out that there is one caveat to the answer we have provided. 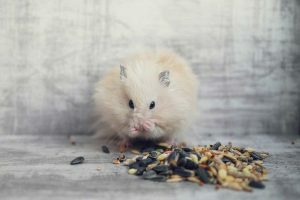 While hamsters themselves will not attract other rodents, if you keep your hamster in the garage or outdoors, then you could have some unwanted guests. For instance, if you keep your hamster in a location outside of your home, the closer proximity to the other rodents will make it easier for them to smell your hamster’s food. If not the food, general curiosity itself might be enough to have a rodent sniffing around. Garages and barns usually will also have more access points so that other rodents can simply waltz in and cause you – and your hamster – distress. Rodents share disease and parasites, so being in close proximity to wild rodents can put your hamster at risk – even if the visitors don’t enter the cage. With that said, if your hamster is kept indoors as most pets are, then other rodents or pests may not even know that your hamster exists. There’s no doubt about it. As long as you keep your hamster clean and its cage free of excess food and moisture, your pet will not attract mice or other rodents. Now that you are confident that you will remain pest free, you can enjoy the fun and fluffy adventures that a pet hamster can provide!